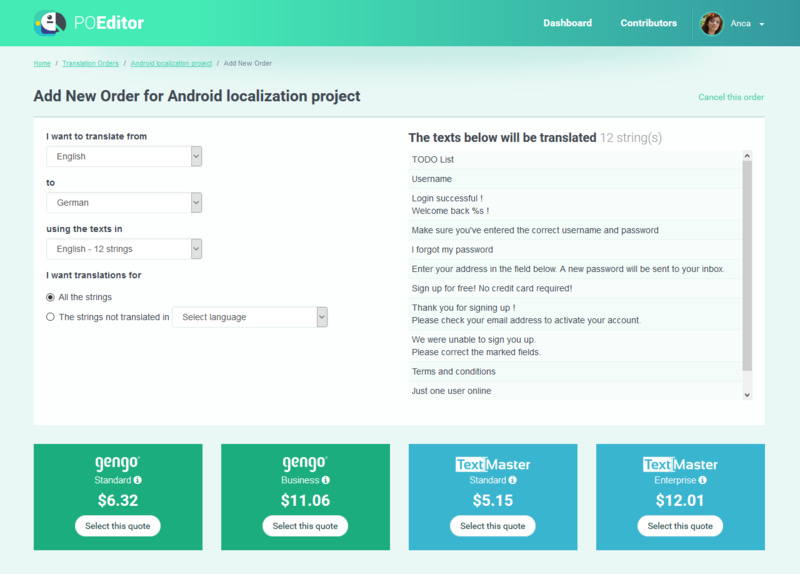 Due to our users’ increasing demand for translation services, we decided to take the human translations feature a step further. Thus, we added TextMaster to our offer of professional translation service providers. Created in 2011 and headquartered in Belgium, TextMaster’s biggest point of difference is probably its specialization in European languages, including German, Italian, French, Portuguese, Spanish. TextMaster’s network of professional translators and qualified native speakers is skilled in adapting your content to local audiences in more than 50 languages and over 200 language pairs. You can choose between two pricing tiers, Standard and Enterprise, priced per-word from $0.066 and $0.132 respectively. The Standard level is handled by tested native speakers, and is best for simple translations of short texts, that do not have specialized vocabulary. The Enterprise level is handled by experienced professional translators, and is suited for professional translation projects that require a translator with full-time availability. If you’ve ordered translation services from your POEditor account before, rest assured that not much has changed regarding the ordering process. 4. Choose the quote which best suits your needs and place the order. You can find a more detailed guide on how to order translations here. We hope that we now have a more complete and flexible solution for our users for human translation. If you have any questions regarding the human translation module, feel free to drop us a line.